The offer will be available in over 20 cities. Any two-wheeler of any capacity will be eligible for the exchange program provided it isn't more than 15 years old. It is applicable on the entire Hero Electric scooter range. In a bid to promote the use of electric vehicles in India, Hero Electric has launched an exchange program on its entire range. Customers can now bring in their scooter or motorcycle of any capacity and exchange it for a brand new Hero electric scooter. To sweeten the deal, Hero will also pay you Rs 6,000 extra over the calculated market value of your old two-wheeler. But before you rush to your nearest Hero dealership, here are some prerequisites that you need to know. The two-wheeler you intend on exchanging shouldn't be more than 15 years old. You need to bring in your insurance and registration copy while making the exchange. Please also note: the two-wheeler in question will be inspected and valued by the dealer as well as the local two-wheeler broker. After all this, the sum of the exchange bonus and valuation of the two-wheeler will be subtracted from the on-road price of a Hero Electric scooter. But what happens when you bring in a powerful and expensive motorcycle for the exchange? Well, the Hero Electric dealership we called up told us if your bike does end up with an evaluation of Rs 1 lakh, then not only will you get a Hero Electric scooter for free, but will also get a cashback on the remaining amount! We still haven’t been able to confirm Hero Electric’s policy in case a customer theoretically walks in with a bike costing more than Rs 1 lakh, say a superbike. 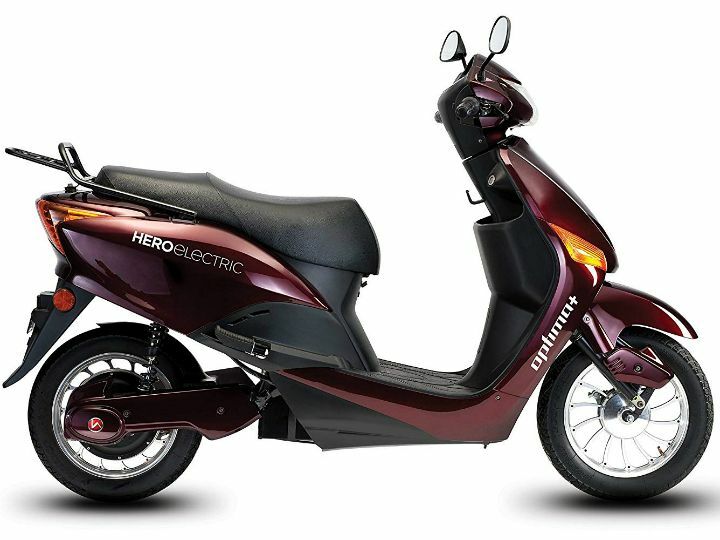 Some confusion aside, Hero Electric has taken a good step in promoting the use of electric-two wheelers in India. In line with the Government’s thrust on promoting electric two wheelers, Hero Electric, country's largest seller of electric scooters has announced a unique program to encourage the owners of old and rickety petrol two wheelers to switch to electric scooters. There are at-least 5 crore very old and highly polluting, petrol guzzling two wheelers still running on the Indian roads that are either unsalable or can be sold near a scrap value. Such vehicles have pollution levels much higher than Bharat 4 bikes these days and consume twice the petrol for the same distance. Hero is offering flat Rs. 6000 over and above the market value of such two wheelers to motivate them to get rid of their rickety contraptions and switch over to brand new E bikes that not only are much more economical to run but also come with a 3 years warranty on the bike and battery. This translates to a straight saving of Rs. 70,000 on the petrol and the maintenance of bike that the customer would have spent on his old bike. The emission reduced by switching one such old bike is equal to planting two full grown trees! To provide impetus to the masses for the uptake of EVs, Hero Electric is also rolling out its national campaign to establish consumer connect in over 20 cities, including Delhi, Pune, Jaipur, Chennai, Rohtak, Hyderabad, Bangalore and Lucknow. The nationwide campaign is being launched from the first week of February and aims to promote the benefits and usage of electric two-wheelers. Under this promotional drive, the company will be activating residential complexes, markets, malls, schools & colleges and corporate institutions to create local touchpoints with the consumers. Hero Electric has a Pan-India network of more than 450 touch points across the country and is leading a revolution in electric mobility with over 300,000 happy customers. The company strives to provide an ecological and a socially responsible platform with the objective of making the country greener and believes in ‘Zero pollution’ transportation in the country through its wide range of Electric Vehicles.